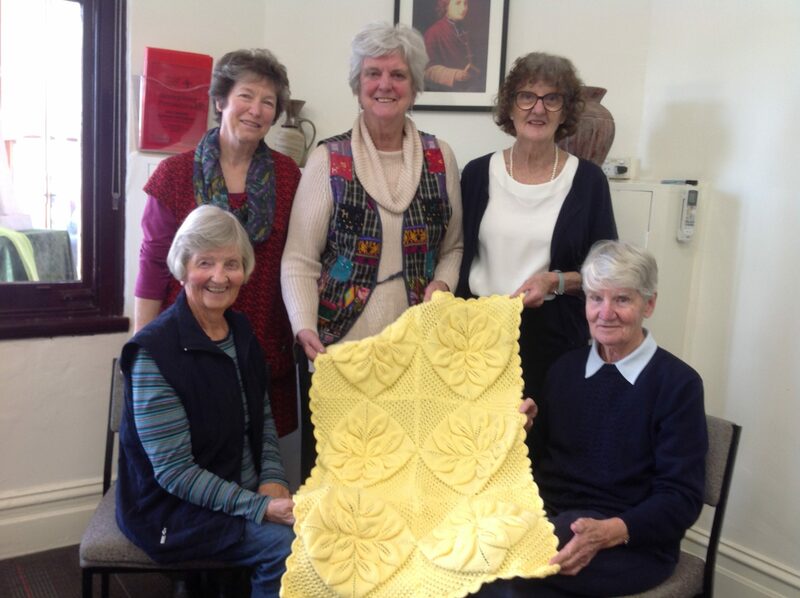 Each week, Brigidine Sisters Martin Jones and Geraldine Hambling attend a Craft Group in Albert Park. Recently they presented members of ACRATH (Australian Catholic Religious Against Trafficking in Humans) who companion survivors of human trafficking with a beautiful blanket, beanies and bootees they had knitted. These gifts will be offered to new mothers and babies as needed. This gesture is one of many ways in which Brigidines are networking with others and using their creative gifts to help overcome exploitation, injustice and suffering, especially of women and the most vulnerable.